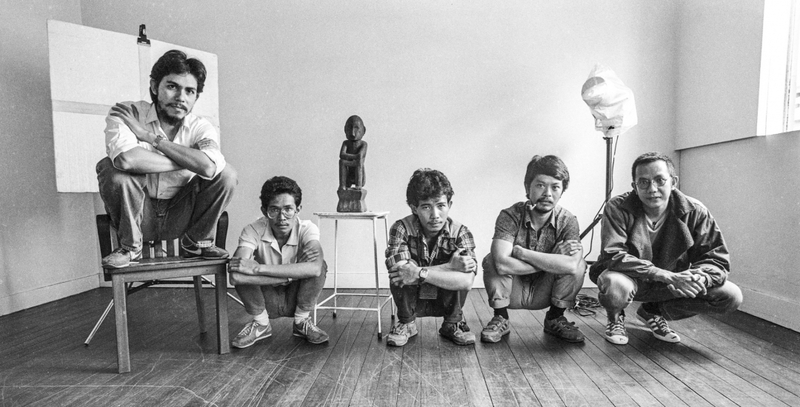 Tysman's photography studio and gallery along Session Road, Baguio, 1985. From L-R: Wig Tysmans, Rodel Peña, Luis Liwanag, Alex Baluyut, Boy Yniguez. 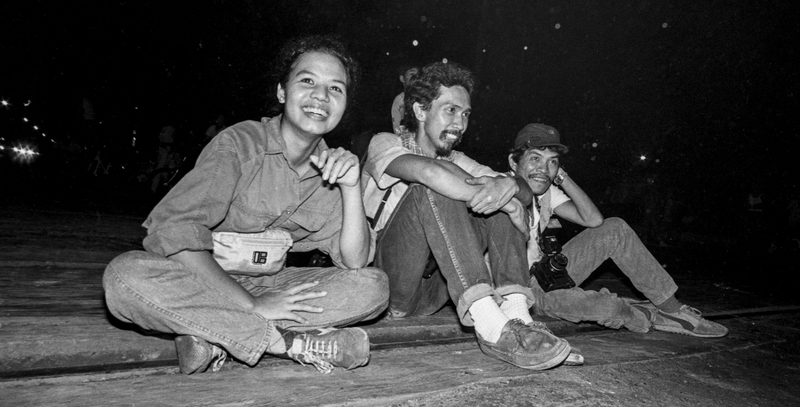 Photo taken by Alex Baluyut along España Boulevard, Manila, 1980s. From L-R: Tina Quirino, Romy Gacad and Manolet Agoncillo.